ICOBox passed the 3,000 bitcoin sales marker as its ICOS token sale is gathering steam – just days after ICORating, a third party rating agency, issued a first ever “positive” rating for the token. ICOBox, which launched its ICO August 15, has collected over $14.1 million, according to data from ICOBox.io., just two weeks into the process. Owners of ICOS token get a chance to help promising but underfunded new projects to bring their innovations to life. Proceeds from ICOS sale will be used to arrange token sales for up to 800 startups over the next 12 months. These projects are being prescreened by ICOBox and are ultimately selected by the vote of ICOS token holders. Token owners will also be able to exchange their ICOS tokens for the tokens of new ICOs at an average discount of 75%. Projects selected in this manner will gain access to ICOBox’s tools with no out-of-pocket expenses. In return, they will give the ICOS platform their future tokens which would be exchangeable for ICOS tokens at a ratio of 4:1 (by value). ICORating, an agency publishing the results of its own independent research, aims to provide unbiased insights into the fundamentals of companies looking to sell tokens to general public. Since its inception in 2016, ICORating has never issued a “positive” recommendation in its in-depth rating module. The fact that ICOBox earned this grade is a testament to its unparalleled team, business model, and the ultimate potential of the ICOS project. “We recommend participating in their ICO, if you agree with the founders’ policies, are ready to bear possible risks, and take an active part in the project’s development process”, the agency stated on August 25. Founded in 2017, ICOBox offers fixed-price services to projects seeking to sell their products and services via ICOs. As part of its solution ICOBox provides technical, legal and marketing services. 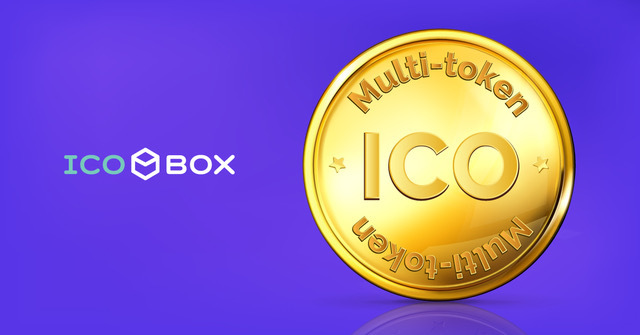 ICOBox was founded by three blockchain visionaries: Nick Evdokimov, a co-founder of SeoPult, an ex-CEO of AdInTop and Cryptonomos CEO and co-founder, Mike Raitsyn, a serial entrepreneur, and Anar Babaev, Head of Digital Marketing at Cryptonomos. Details on ICOBox can be found at www.icobox.io. For more information please e-mail [email protected]. To submit a project, go to https://cryptoform.typeform.com/to/zzXaZo.